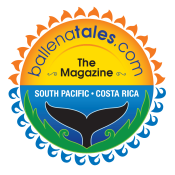 Caribbean Coast – Late season winter storms going off the U.S. coast keep pushing swell towards Puerto Viejo and neighboring beaches and reefs. Expect less frequent waves, but still a couple of overhead days every week through April. Late April also means more rain, but a longer dry season may keep the heavier storms at bay. Pacific Coast – April means the driest month of the year and heavier offshore (Papagayo) winds. There has not been too much activity in the South Pacific and as the North Pacific winds down, less chance of any big swells early in the month. A decent overhead swell arrives by the 5th, but the next one doesn’t show until the 19th and then another should appear a week later. The last two should at least bring surf 2 feet overhead. 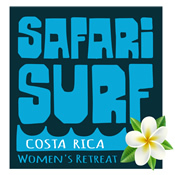 At La Ponderosa Pavones Resort, they are hosting Kristy Murphy’s Siren Surf Adventures during months of April, May and June for Family and Woman’s surf Adventures for $2500 per person, including lessons and rentals. Plus they offer all inclusive packages with meals, transportation from Golfito, and a massage for only $895 per person for two guests. Real Surf Trips announces the Jared Mell experience, May 31st to June 7th. This week long retreat with Jared is all about riding waves. 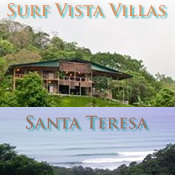 When you’re not in the water, you will be discussing board design and what boards to ride in certain conditions provided, the history of surfing, watching influential surf movies, fishing, bodysurfing, skateboarding, yoga, and going to rodeos, experiencing the local culture of Costa Rica. Also they host Lisa Andersen every summer so be on the lookout for that surf adventure. 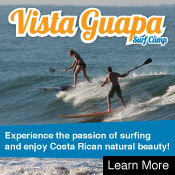 Vista Guapa will be hosting Deanna Black for a Yoga, SUP, and Surfing Adventure on May 17th to the 24th. As a professional yoga instructor for the last 26 years, she will lead a week of relaxation and rejuvenation. SUP and surf lessons will allow you to learn or improve your skills, while yoga practice will focus your mind and give you the strength and balance needed to catch the waves. 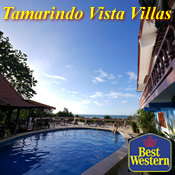 The all inclusive package is only $1500 per person if you sign up before May 1st. Vista Guapa is offering two more YOLO (You Only Live Once) camps in July and December 2014. It includes daily surf sessions, flat-water paddling sessions, fitness training, photography instruction, sightseeing excursions, homemade local cuisine and much more. The next camp is set for July 5th to the 11th. 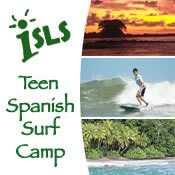 ISLS is offering a one to eight week Spanish and Adventure Camp for Families on their tropical campus, with swimming, surfing, arts and crafts, and adventure tours. Witchs Rock Surf Camp still has week-long packages for only $826 per person. And Safari Surf School is now offering weekly ‘backpacker’ packages with ten lessons, breakfast, photographer, and breakfast for only $1495 per person. 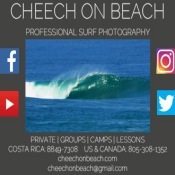 As you can see, we work with surf camps all over the country and can find the exact one to meet your budget and type of waves you are searching for. Best flights: If you are traveling light, then Spirit Air has flights from Orlando to San Jose for $276 roundtrip (+$30 each for checked bags, +$20 each way for carry on) for April 10th to the 18th. JetBlue has prices for $382 for the same dates, non-stop and and with one checked bag free. These prices stay about the same for the last week of the month, too. Costa Rica phenom Carlos Muñoz returned to Playa Dominical for the Copa Marley and with a perfect 10 for a 360 aerial reverse, took down the contest. Lisbeth Vindas continued her winning streak for the women and standout Malakai Martinez from Tamarindo won the Grommets and Boys Division. 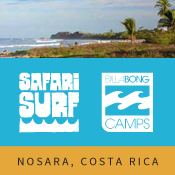 CRsurf helped sponsor another contest on the Caribbean coast – the King of the Suricats – held March 23rd in Playa Cocles. This event supports younger surfers who are just starting to compete. They get an opportunity to surf in heats with their friends and participate in a healthy active lifestyle. If you like women’s surfing and bikinis, then the Camelo Bikinis Surf Festival on April 19th should not be missed. It will take place behind the Backyard Bar, a wahines only event with $1000 in prizes. 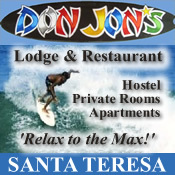 The divisions are Pro Surf and Bodyboard, Junior, Grommets (under 12), and beginners surf and bodyboard. The ACOS (Association of Costa Rican Surfers) is looking to hold the first ever BIG WAVE contest at ROCA LOCA with the waiting period being between April 14th and May 30th. Believe it or not, Costa Rica still has problems with shark finning. There is currently a trial taking place for one captain, but unfortunately other boats are finding ways to skirt the way, including cutting away all the shark meat around the skeleton and leaving the fin attached. Another problem is that many boats are spotted around Isla de Coco, a UNESCO world heritage site, which has little protection nor resources to stop the practice. Only by petitioning the Costa Rica government can we help end this needless killing of sharks. 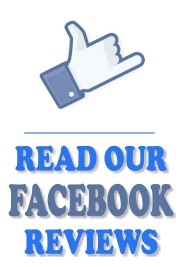 You can find and sign the petition in our weekly surf report. Every year dozens of monkeys get electrocuted by crossing power lines. One group that is raising awareness of this issue and funds to build bridges up in the canopy over roads is in Guanacaste, called Salvemonos. 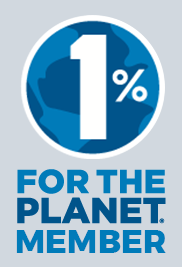 They sell t-shirts, stickers, and magnets through the website – www.salvemonos.org. So if you like monkeys, make a small donation to help them survive.